Unit4 has won a major deal with the Malta government in partnership with Grant Thornton. Its relationship with the global accounting firm is clearly deeper than the announcement last week that saw Grant Thornton sign up to implement its ERP solution. The overall contract is worth €11.6m and will see Grant Thornton Malta assist the transformation of the Malta government finance systems across all ministries and government department. The modernisation will see improved finance controls and a fully devolved accrual based finance, budgeting and information system. The project will introduce accrual accounting based on International Public Service Accounting Standards (IPSAS) and supporting guidelines. The project is mainly financed by EU money and the total cost of the project is estimated to reach €17m. Approximately €10 million of funding for the project comes from the EU ERDF Programme called CONvErGE. Unit4 will assist Grant Thornton in deploying its Business World Solution. This will become Corporate Financial Management Solution (CFMS) in Government. It will replace the cash based Departmental Accounting System (DAS) which runs across the departments currently. Once completed the solution will facilitate the implementation of European Union Directives, Regulations and Standards. This will bring Malta in line with the majority of the EU governments. It may also assist in the generation of additional funding with a more open and standard accounting system. The solution will also deliver a flexibility that will help deliver future business change such as restructuring. The is not a small project. It was signed off on 10th July 2017 and launches on 9th August. An initial pilot project will last 18 months with the full roll out taking 30 months from the date of signing. The system is licensed for 3,500 users to enable all government employees the ability to access the system. The system will be installed in a segregated environment set up by MITA (The Malta Information Technology Agency) in its data centre. This body manages the implementation of IT programmes in Government. For the CMFS project it will take an oversight role with Grant Thornton and Unit4 leading the deployment. The pilot phase would be better called a first phase roll out. It will include Treasury Department, the Budget Office, the Inland Revenue Department within the Ministry for Finance; Central Procurement & Supplies Unit [CPSU], within Ministry for Health; Armed Forces of Malta within the Ministry for Home Affairs and National Security; Ministry for Foreign Affairs; Ministry for the Economy, Investment and Small Businesses; Ministry for Tourism; Ministry for Gozo; Ministry for Health and the Ministry for Education. The full roll out includes all remaining departments. There is also a third phase for the rollout, this includes the implementation of yet to be determined systems. Whether these are additional modules from Unit4 or other solutions is unclear. The overall contract is for a ten year period which is sensible considering the initial roll out period. Introduce reporting structures to enable the provision of information to meet both local and international requirements. Introduce, replace or integrate subsidiary financial systems that are fundamental to Government’s accrual based financial framework, including Government Entities. Consolidate the corporate and ministry financial systems, which are inherently key to the consolidated Financial Statements of Government at large. Facilitate the devolution of financial responsibility and accountability on departmental and ministerial decision-makers. Regular and timely financial reports will be made available to the Maltese authorities and EU financial institutions including EUROSTAT, and other international organisations, such as the IMF. The modern technologies will mitigate the current high technological risks associated with old technologies, which are currently posing a serious threat to Government’s financial business continuity. The introduction of accrual accounting via the new solution will provide a higher level of financial transparency over public funds, providing more information to Parliament and the citizen at large. In addition the project will include training for existing staff to ensure they have the relevant skills for accrual accounting. The blog also mentions the introduction of e-invoicing and e-procurement within Malta. 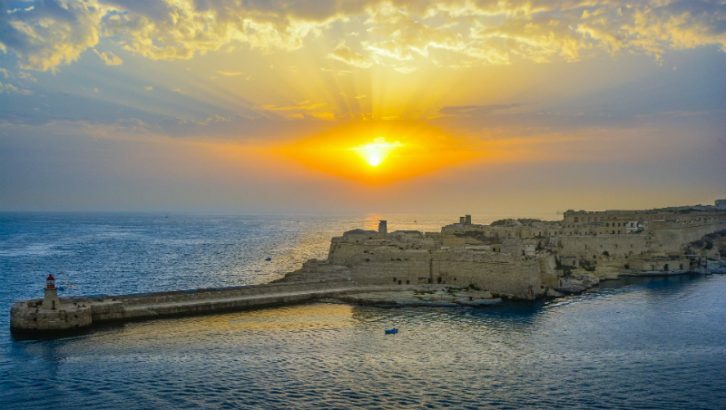 Whether Malta will go down the digital transformation as far as Estonia seems unlikely. However it will put it in a better position to participate in blockchain initiatives. 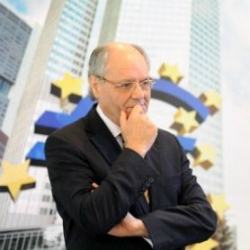 The Malta Finance Minister Edward Scicluna described the project as a “revolutionary change”. In terms of transformation this certainly seems a significant step for Malta. The contract also sees a deepening of the relationship between Grant Thornton and Unit4. Grant Thornton UK recently invested in Unit 4’s Business World On! Solution to roll out across their own organisation. With Unit4 running a government finance operation in Europe this is probably one of Unit4’s largest deployments in government. It already operates the City of Stockholm and has installations in Canada and the across UK. Once implemented this will could become a significant advocate for both Unit4 and Grant Thornton, especially if the latter wants to challenge the bigger SI’s.